"Can anyone help me on how to make ringtones for iPhone 6? I just want to make my fovarite song as iPhone 6 ringtone but have no idea how to do this. On other devies it’s so easy." by Mallikc from Apple Support Communities. "Is there any way in which I could make my own voice as ringtone for my iPhone 5S? I want to make iPhone ringtone with my own voice. Is there any iPhone ringtone maker that could do this? Thanks." by Jeffery from Apple Support Communities. Many iPhone users tend to make iPhone ringtones with their own fovarite songs so as to make iPhone ringtones special. Generally speaking, an iPhone ringtone maker could be helpful on how to make a ringtone on iPhone. However, if you want to make iPhone ringtones with your own voice, you will find that common iPhone ringtone makers might not be helpful. In such case, you will need special kind of ringtone maker for iPhone. Well, this post would show you how to make ringtones for iPhone in different ways. iTunes could perform as iPhone ringtone maker for you to make ringtone for iPhone for totally free. You neither need to go to the Internet and browse iPhone ringtone maker app to download and install on your computer to make iPhone ringtones, nor make use of online iPhone ringtone maker to make iPhone ringtone online. The below steps would show you how to make iPhone ringtones with this iPhone ringtone maker app. Step 1: Launch iTunes on your desktop or laptop computer. Step 2: Pick the song or audio file you want to use from your iTunes library. 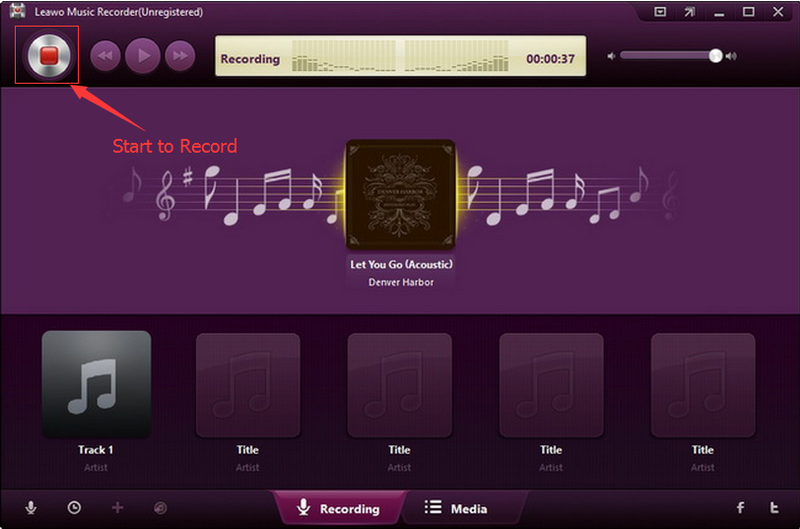 Step 3: Right click on the song and select "Get Info" option to enter the song information window. Step 4: Open the "Option" tab and then set the ringtone duration by setting the "Start" and "Stop" volumes. The iPhone ringtone should not longer than 40s. 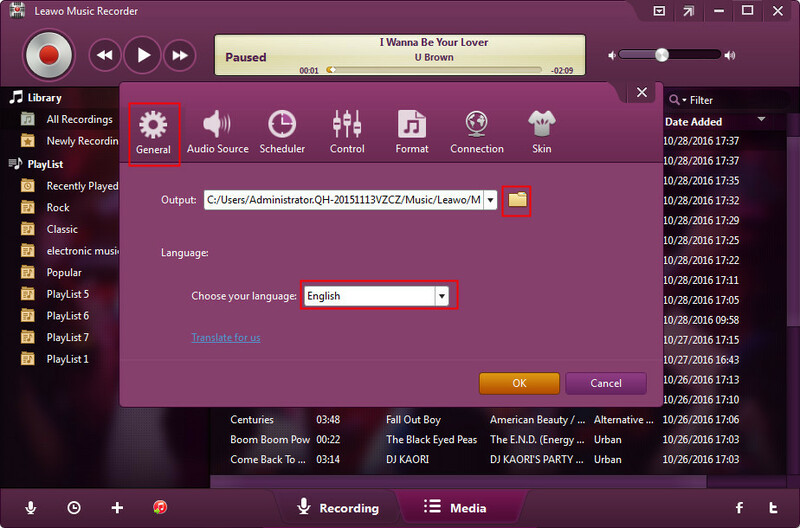 Step 5: Click on the song to select it, and in the Menu Bar, go to File > Convert, and select "Create AAC version". 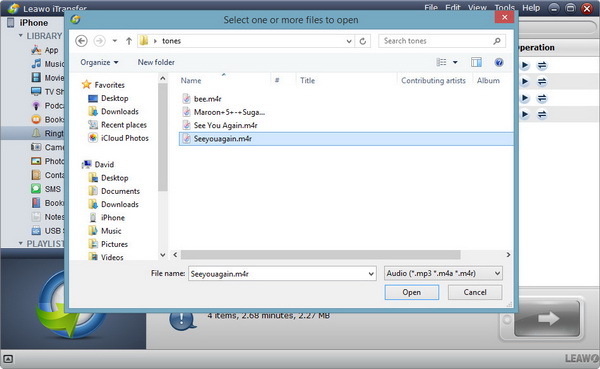 Step 6: Right click on the new song and select "Show in Finder" (if you are using a Windows-based operating system, select "Show in Windows Explorer). The new song will show up in your Finder window as an .m4a file. Step 7: Rename the extension of the file from .m4a to .m4r, since iPhone accepts only .m4r audio files as ringtone. Make sure you just rename the extension, not the file. In this way, you now have easily finished the procedure of how to make ringtones for iPhone within iTunes. What you need to do next is only transfer created ringtones to iPhone from iTunes, which will be discussed later in this post. 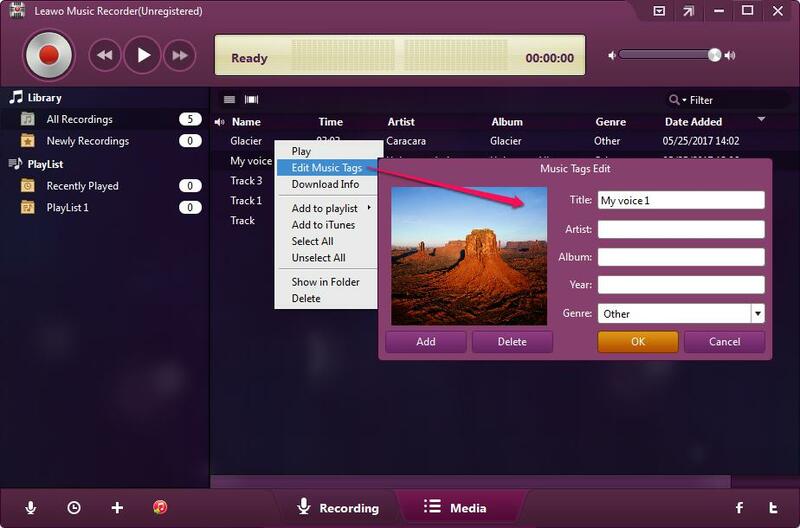 As the name suggests, Leawo Music Recorder is a music recording software app that could record audio files on computer. Why do we recommend it as iPhone ringtone maker on how to make ringtones for iPhone? 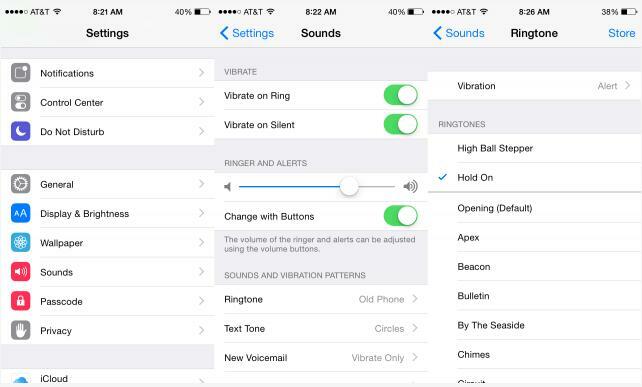 It could help you record your own voice as iPhone ringtones. As a professional music recorder program, Leawo Music Recorder is not only able to record audio from computer (including local drive audio files and online audio streams), but also record sound from microphone. You could easily record your own voice with this Music Recorder as iPhone ringtones. 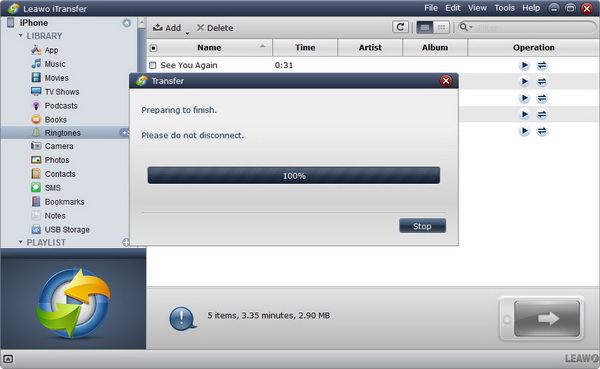 Download and install this music recorder software on your computer. The below steps would show you how to record and make iPhone ringtones with your own voice. 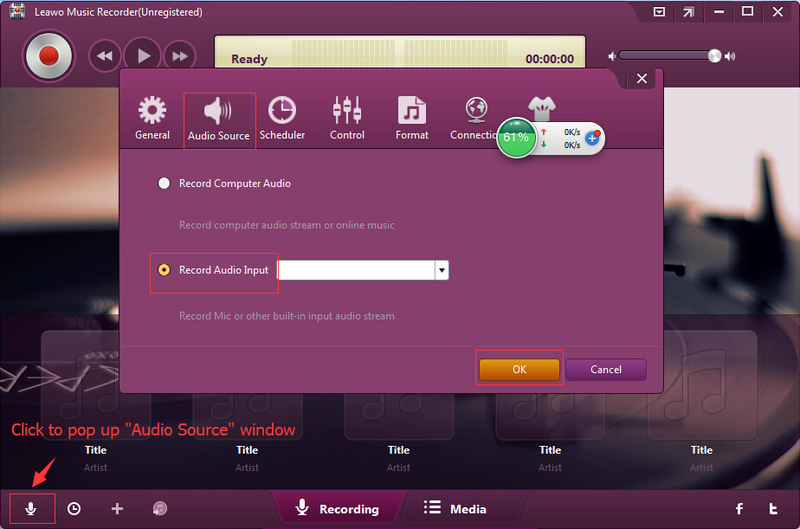 After launching Leawo Music Recorder, click the microphone icon to set "Audio Source" from "Record Computer Audio" and "Record Audio Input" options. To record your own voice as iPhone ringtones, choose "Record Audio Input". To record music from computer as iPhone ringtone, choose "Record Computer Audio" option. Under the "Format" tab, choose either MP3 Audio or WAV Audio as output format from "Output Format" box. You could also change the parameters of bit rate and sample rate. 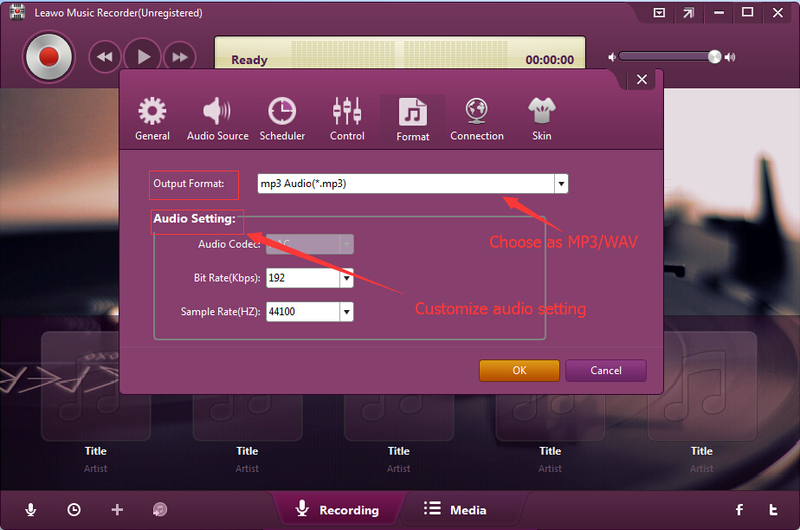 You’re suggested to choose MP3 as output format. Under the "General" tab, you need to set a folder on your computer as output directory in the "Output" box. With all these settings done, click the "OK" button to save settings and quit. Then, go back to the main interface and click the red button to start recording voice or music before you input voice or play back music file. Remember, if you want to record a clip of a music file as ringtone, you could firstly play back the music file on your computer and then click the red button at the point your want to set as the ringtone beginning point. Click the red button again at the point you want to set as the end point of the ringtone. Leawo Music Recorder could automatically download and add music tags to your recording if you’re recording a song like title, artist, album, cover, etc. But you could also edit these tags by yourself. You could either right click the recording on the "Recording" tab to select "Edit" option or go to the "Media" library and then right-click the recording to select "Edit Music Tags" option to enter the music tag editing panel. This is especially useful if you are recording your own voice as ringtone. Note: After recording, you could view the recorded ringtones in the folder you’ve set in Setp 3. It’s far from enough when the recording ends, since you still need to change the extension of recordings from .mp3 to .m4r, which is accepted by iPhone as ringtones. If you’re using a Mac computer, Leawo Music Recorder for Mac enables you to record and make iPhone ringtones on Mac OS 10.6 and later. Well, with iPhone ringtones made on your computer, you now only need to transfer the created ringtones to iPhone from computer. You could use iTunes to transfer ringtones to iPhone, which requires you firstly add created ringtones to iTunes. Here we would like to introduce another effective iPhone ringtone transfer app – Leawo iTransfer to transfer ringtones from computer to iPhone directly. It is a professional iOS data transfer app that could transfer data and file between iOS devices (iPhone, iPod and iPad), iTunes and computer. ☉ Transfer data and file between iOS devices (iPhone, iPad, iPod), computer and iTunes. ☉ Support to transfer up to 14 types of data and files. ☉ Allow you to preview data and files before selecting which to transfer . ☉ Manage data and files on your iOS devcies on your computer with ease. Download Leawo iTransfer and install it on your computer. Launch it. The below steps would show you how transfer ringtones from computer to iPhone directly. Open Leawo iTransfer on your computer and connect iPhone to the computer via USB cable. Your iPhone will be automatically detected in the left sidebar. By openning the "iPhone > Library >Ringtones", you could view all ringtones on your iPhone. Click the "Add" button on the right panel and then choose either "Add File" or "Add Folder" option to browse and add ringtones from your computer. Once you’ve checked the ringtones you want to transfer to iPhone, click the "Open" button. Then, the ringtones would be automatically transferred to iPhone from computer. You could view the whole process. After you transfer ringtone to iPhone from computer, the question now is how to set the ringtone as Default Ringtone on your iPhone. 1. Tap on Settings > Sounds. 2. Press Ringtone, then you will see a list of ringtones. 3. Now the ringtones you’ve transferred will be in the list of ringtone. In the ringtone panel, you can select your custom ringtone as the ringtone. 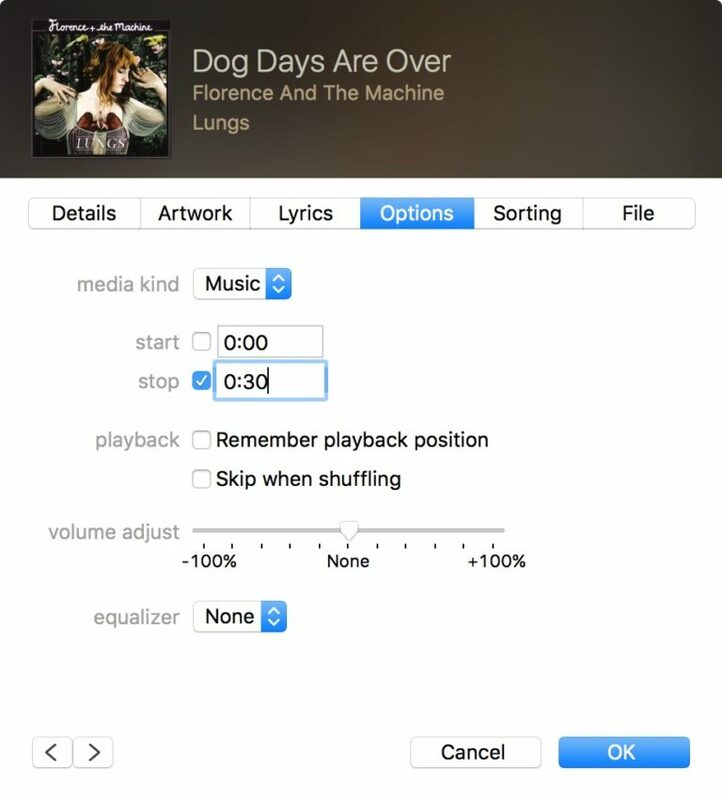 In conclusion, iTunes helps you make ringtones for iPhone from your computer music files, while Leawo Music Recorder could enable you to make iPhone ringtones with your own voice and computer music file as well. You could freely select either one according to your own needs.